Terry Laurmen, 75, never thought he would become an online sensation by napping with shelter cats. 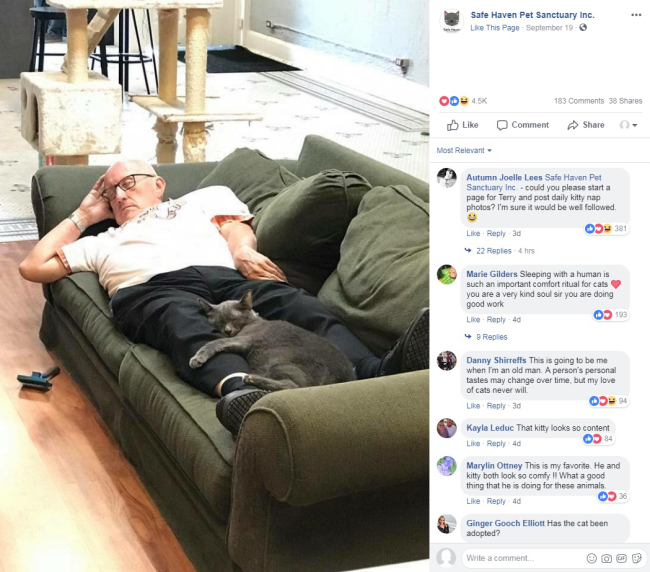 The photo of him sleeping with cats - in various positions - at a pet shelter in Wisconsin has gone viral on the internet, and helped the shelter raise more than $30,000. Terry volunteered to brush cats at the Safe Haven Pet Sanctuary about six months ago. But grooming 20-30 cats can get exhausting, and the staff began snapping shots of Terry taking his daily siestas with his furry friends and shared some of them on the shelter's Facebook page. Unexpectedly, the post became a hit, and has been shared across the world more than 23,000 times. Thousands of well-wishers have shared comments and pledged thousands of dollars to the shelter in donations. The retired Spanish teacher, with no mobile phone or computer, still can not get his head around his new found online fame. But he said he would do anything to raise money for the shelter. A restaurant in Seawall, Maine, is known for cooking up "legendary" lobsters, but doesn't want the crustaceans to leave this world in pain. So, Charlotte's Legendary Lobster Pound says it's getting some lobsters high before they meet their maker. "If we're going to take a life we have a responsibility to do it as humanely as possible," said Charlotte Gill, the restaurant's owner and an animal rights supporter. Gill said she first tried the technique on a lobster named Roscoe. Roscoe was placed in a box with about two inches of water. Marijuana smoke was blown into the water through a hole in the bottom, and Roscoe got "baked." Marijuana is legal in Maine and Roscoe seemed to enjoy his first time getting high - he was much calmer when he was put back in the tank with other lobsters. 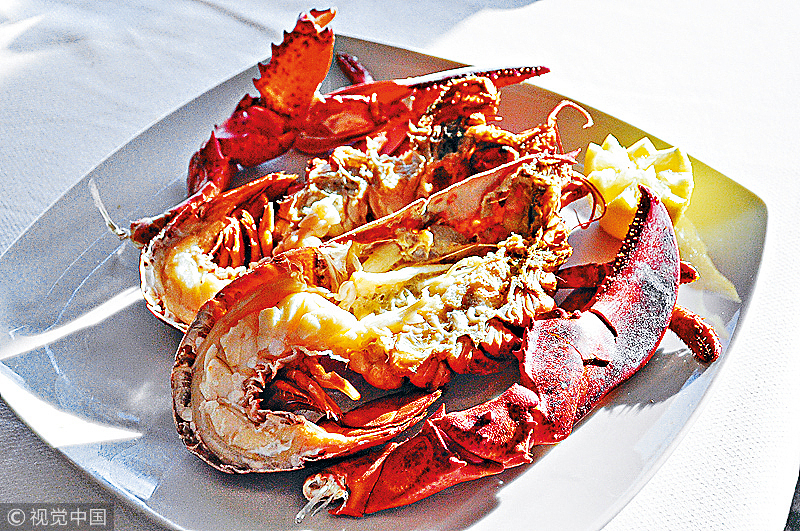 The experiment was a success and lobsters at the restaurant can now be sedated at the customer's request. South Korean parents are now increasingly turning to "uncle service" providers to make sure their children don't have to put up with bullying in schools. Such services are apparently a pricey but efficient alternative to having schools handle the matter. South Korean media reported on the growing business of leasing intimidating uncles to either protect children from bullies or gather evidence of bullying for filing an official complaint with the school, or even contacting the bully's parents at their workplace. But while many South Koreans view this type of service in a positive light, there are those who see it as simply answering bullying with another type of bullying. Croatian playmaker Luka Modric broke a decade of award dominance by Cristiano Ronaldo and Lionel Messi after being crowned World Footballer of the Year by FIFA on Monday. 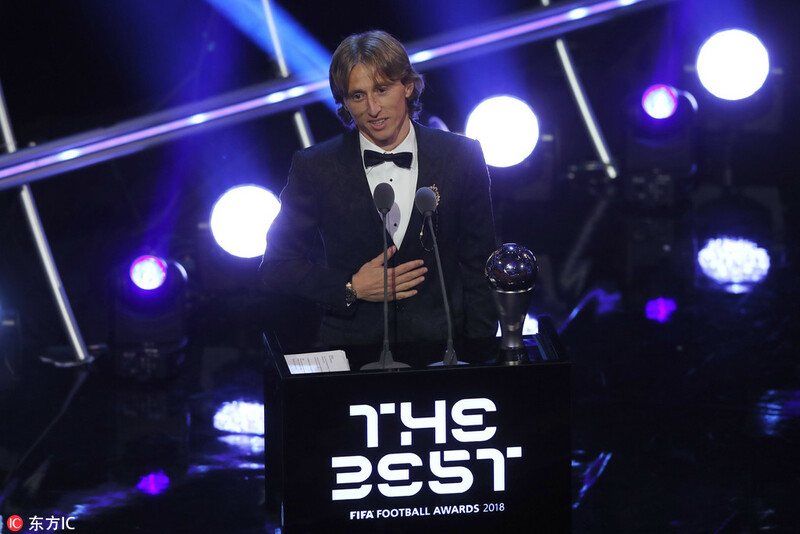 Modric was voted FIFA's best player in the 2017-18 season after winning the Champions League for a fourth time in five seasons with Real Madrid and leading Croatia to its first World Cup final where it lost to France. "This trophy is not just mine," the 33-year-old midfielder said. "It's for all my Real Madrid teammates. For all my teammates on the Croatia national team. For all the coaches that I have played for."